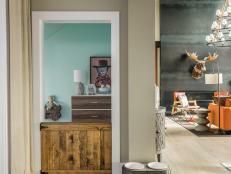 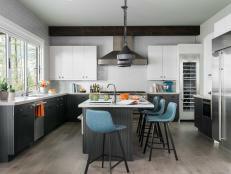 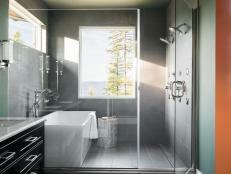 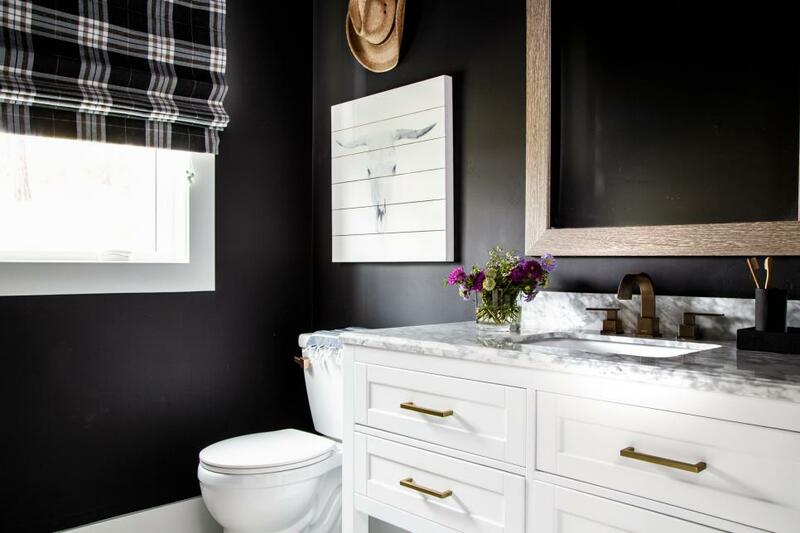 Located just off the mudroom, the powder room with a tall ceiling and black walls has rich design details and a sophisticated cowboy look that reflects this home's Whitefish, Montana location. 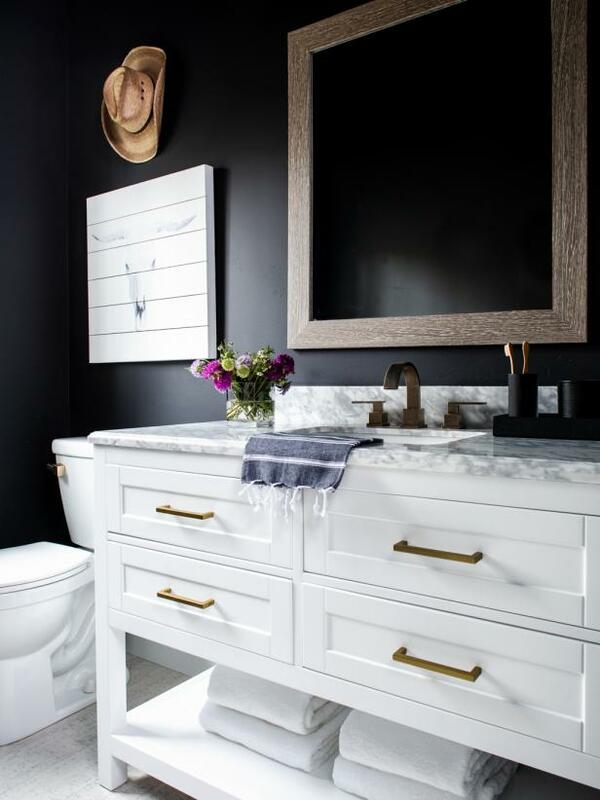 The powder room’s freestanding white vanity has a rustic wood framed mirror and 3-light vanity light for illumination above. 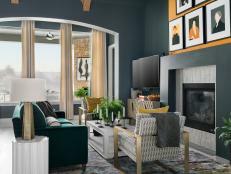 Sophisticated black walls with a subtle softness provide a dramatic backdrop and add moody style to this chic space with a Western flavor. 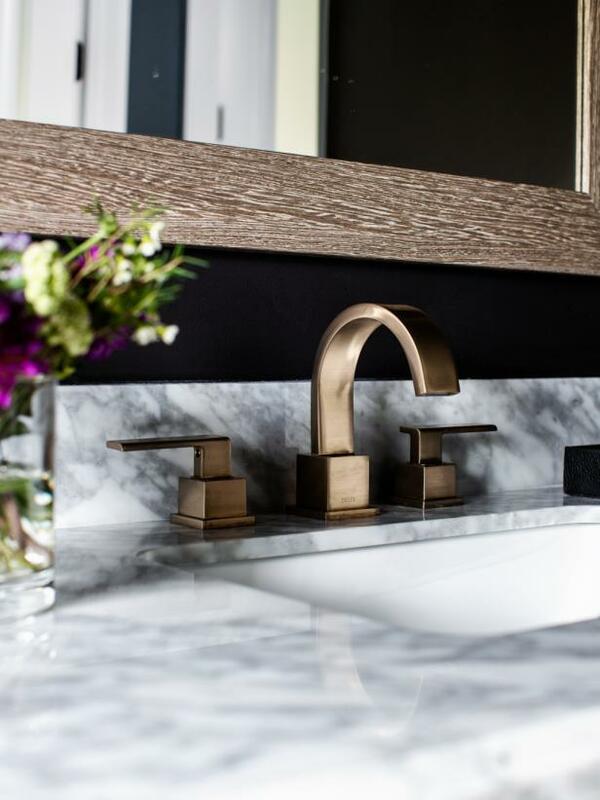 The vanity's beautiful Carrera marble countertop picks up the black and white design details in the powder room, and coordinates with the matte champagne bronze finish on the sink faucet. 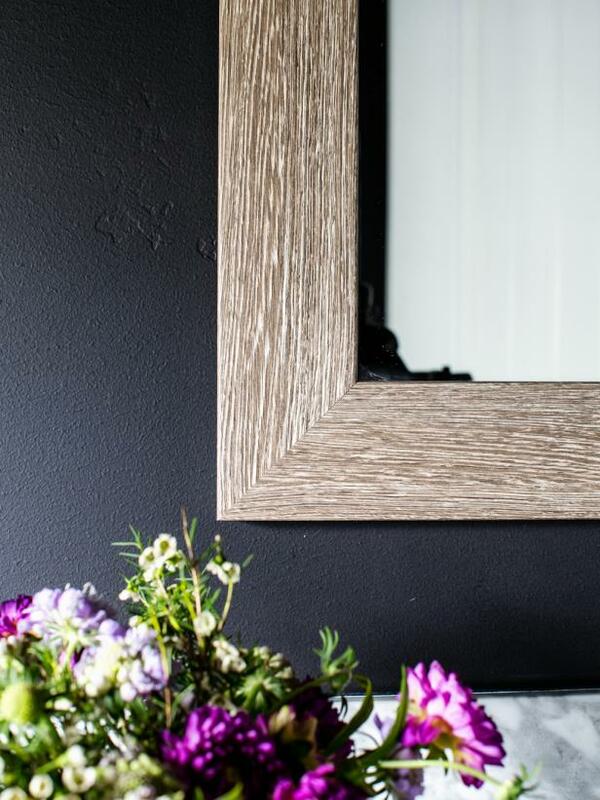 The large hand-crafted mirror above the vanity has a rustic frame with a weathered gray barn wood finish that pops against the black walls and keeps with the space's Western flavor. 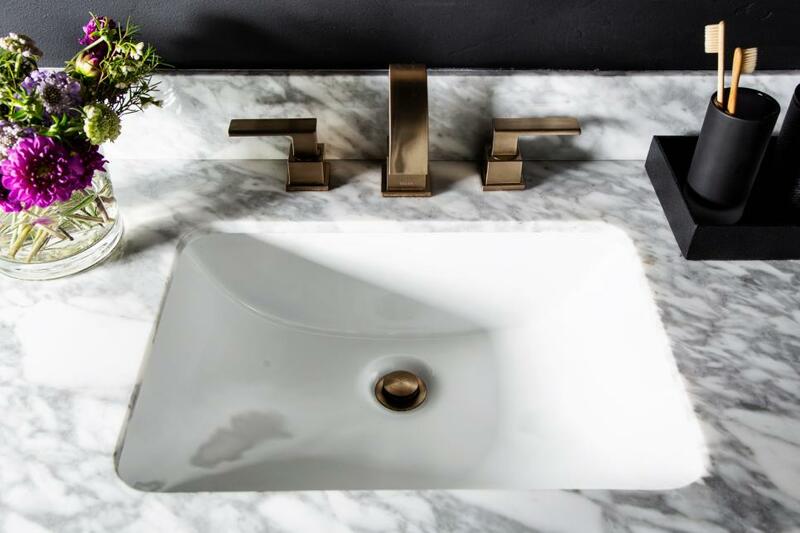 The vanity sink includes a two-handle widespread bathroom faucet in matte champagne bronze, with a coordinating drain pop up in the same glam finish. 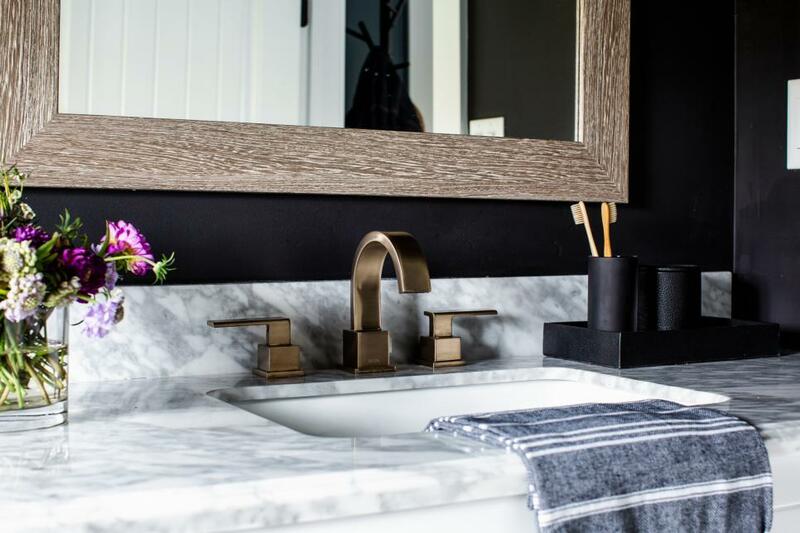 On one side of the powder room’s white rectangular sink sits a three-piece bathroom accessory set with black soap dish, soap dispenser and toothbrush holder. 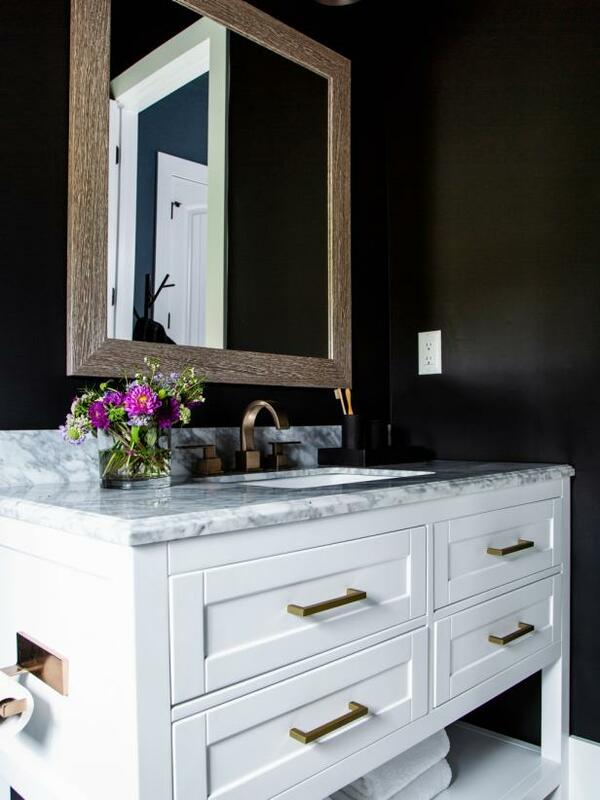 A glass vase with fresh blooms on the other side adds a burst of color to the vanity top. 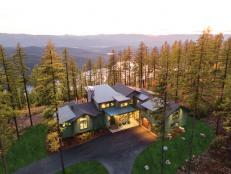 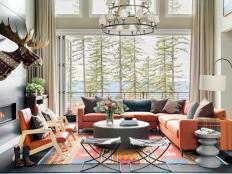 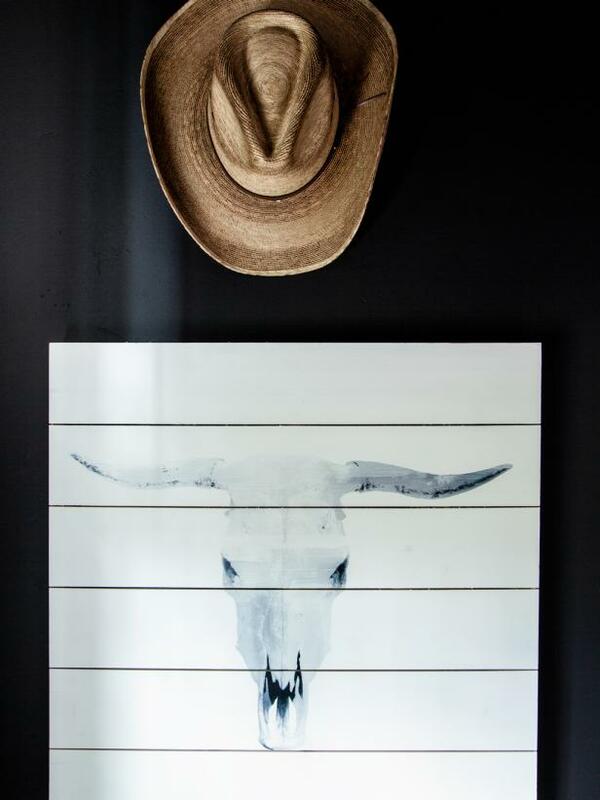 Above the toilet hangs Western-style wall art and a classic straw cowboy hat that reinforce the look and feel of this mountain modern style escape. 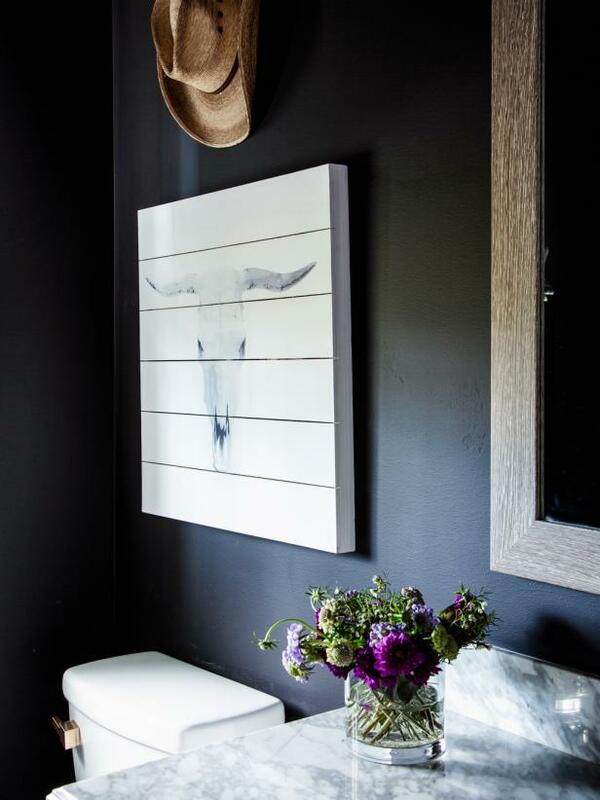 The painting print on white wood with a gray steer skull pops against the sophisticated black walls, and fits the Western vibe of this well-detailed powder room. 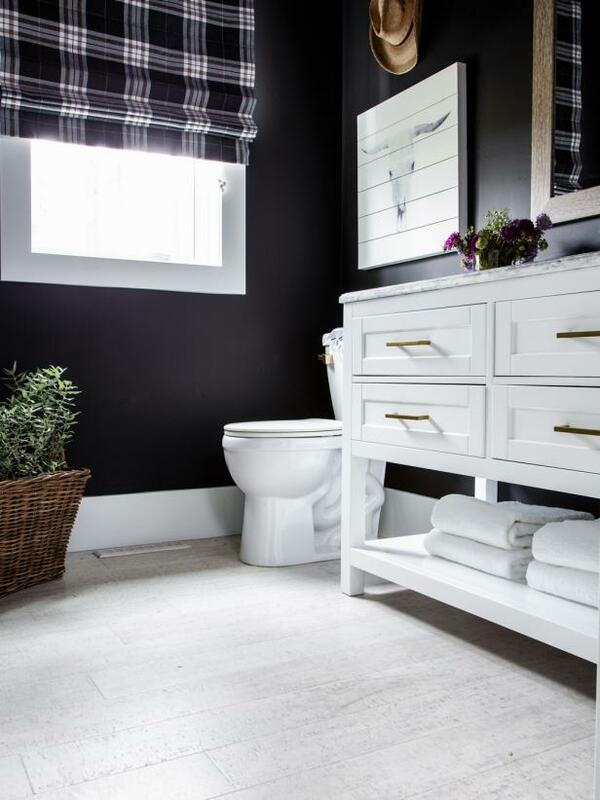 A custom Roman shade in a masculine gray, black and white Scottish tartan plaid on the powder room’s energy-efficient window offers privacy when desired and adds a pop of pattern to this chic space. 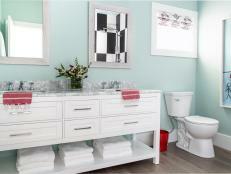 The freestanding white vanity offers both closed and open storage, with drawers for bathroom essentials and an open shelf on the bottom for folded white towels. 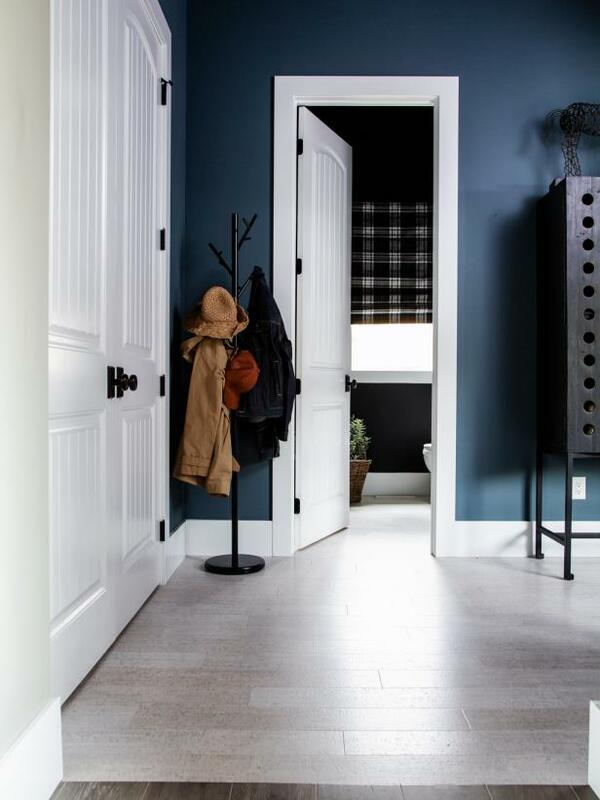 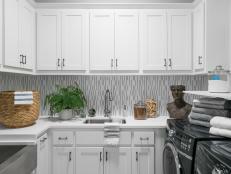 This image shows what visitors see when they open the powder room door. 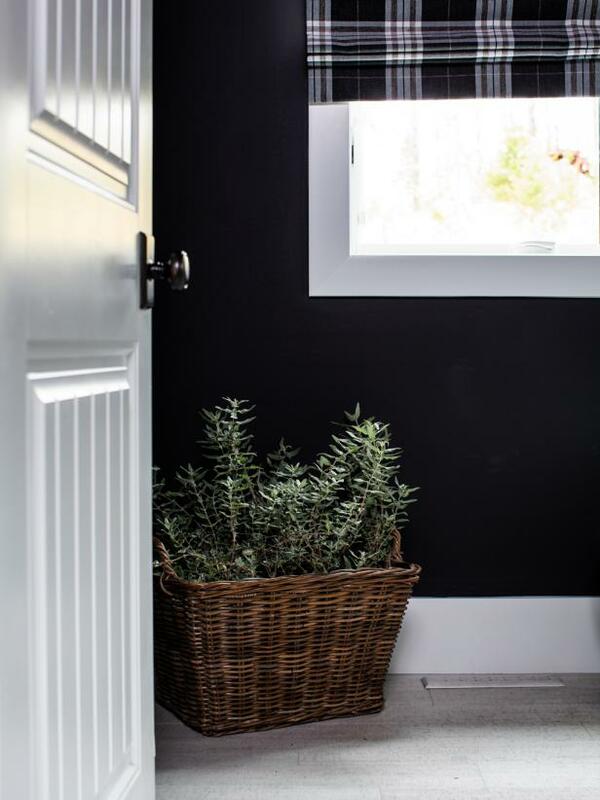 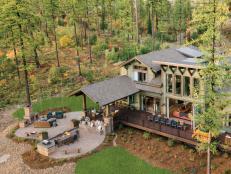 An evergreen plant in a sturdy hand-woven rattan basket in the corner reflects the beauty of the majestic trees and mountain landscape outside. 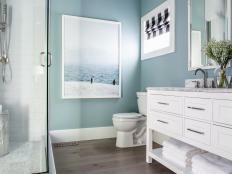 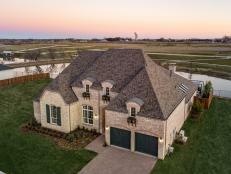 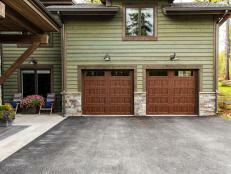 This wide view looking into the powder room shows the space's user-friendly location off the mudroom hallway that connects the main living areas of the home to the garage.